Premiere Pro CC Fast Track to Video Editing in Premiere Pro | Free eBooks Download - EBOOKEE! • How to efficiently import and organize your media. You will learn several methods to give you the freedom to adjust your work flow to suit your preferences and will develop your own style. • How to go about editing a complete video. A step by step comprehensive post-production process. If you're aiming to become an outstanding Video Editor and Build your career, this process is essential. • With this step by step process (Section 13), I will guide you to create your own unique Demo-Reel which you can then upload to any site as proof of your newly acquired pro video editing skills. 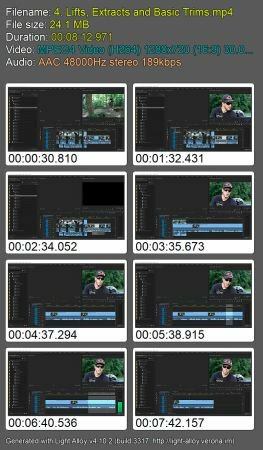 • All the editing Tools and How to use all the Editing Monitors in Premiere Pro CC. • A comprehensive approach to Color Grading. Understand the Lumetri Presets for the Various Cameras and the technical aspect of these Presets and How to create your own Grading Presets. • Transitions being an essential part of video editing, you will learn how to apply, modify and time the transitions effects using various monitors. 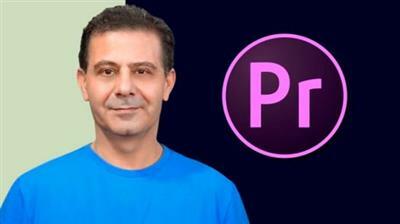 You will also learn how to create your own transitions using animation within Premiere Pro. • And of course, other topics are included such as motion and animation, graphics and titles and so on. The course will dive straightaway into having you create your first video, with sound, music, images and text. No time is wasted with unnecessary concepts. You will be up and running in Premiere in 45 minutes. No comments for "Premiere Pro CC Fast Track to Video Editing in Premiere Pro".